As a user of modern applications and services, you’ve almost certainly interacted with a variety of email notifications. These messages alert you when your post was shared on a social network, remind you to take a key step in activating your account for a productivity tool, or ask you to approve a scheduled bill payment from your bank. Email notifications like these draw users back into apps and reinforce trust in services. They’re an important part of a great user experience and one of the most powerful tools product management teams have to drive conversion, retention, and growth. As VP of Product at SparkPost, I’ve had the privilege of working with best-in-class companies such as Pinterest, Intercom, HubSpot, and LinkedIn. They use email notifications to build user engagement and drive business metrics like conversion and retention. These emails offer great lessons for teams building both B2C and B2B products. Although examples of email notifications are as varied as the apps and cloud services that send them, many uses cases apply to nearly any service. Security and account changes: providing updates direct to the user when their account information and login details might be at risk is a trusted and strategic way of using email notifications. 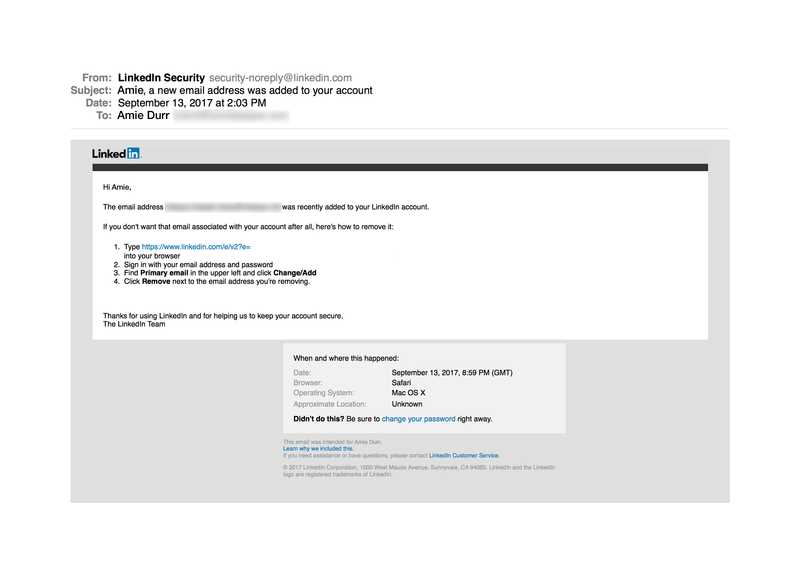 Consider this email notification sent by LinkedIn when a new email address is added to an account. It is direct, factual, and provides clear action steps when required. It employs both detailed information and cues like a security-specific return address to reinforce trust, an essential quality for services like this. Information that prompts user action: well-targeted notifications to complete onboarding or to take other specific actions are key to increasing metrics such as activation and conversion rates. 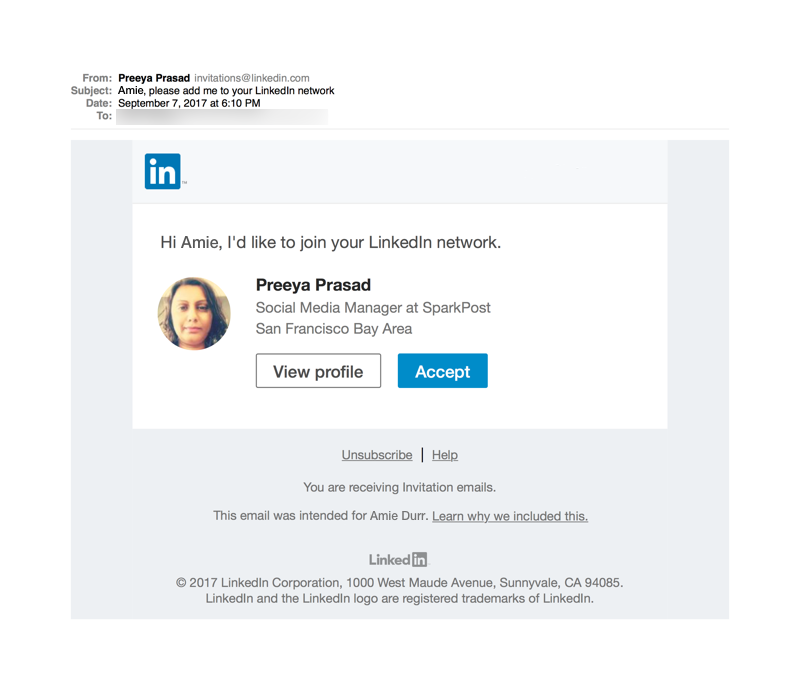 Here’s an email notification from LinkedIn to add a new connection to a user’s network of contacts. This notification works because it prompts an action tied to the service’s core benefit, professional networking. Qualities like personalization and a direct subject line make it more likely to be opened. Information and status updates: notices about activity that happened on a site while the user was away reminds him or her of a service’s value and can drive re-engagement—or even conversion for additional services. Notifications like these often psychologically reward a user for their use of the product. This notice from Pinterest that a user’s content was shared is a good example. It provides multiple opportunities for engagement by highlighting the item that was shared as well as providing additional content for the user to explore. 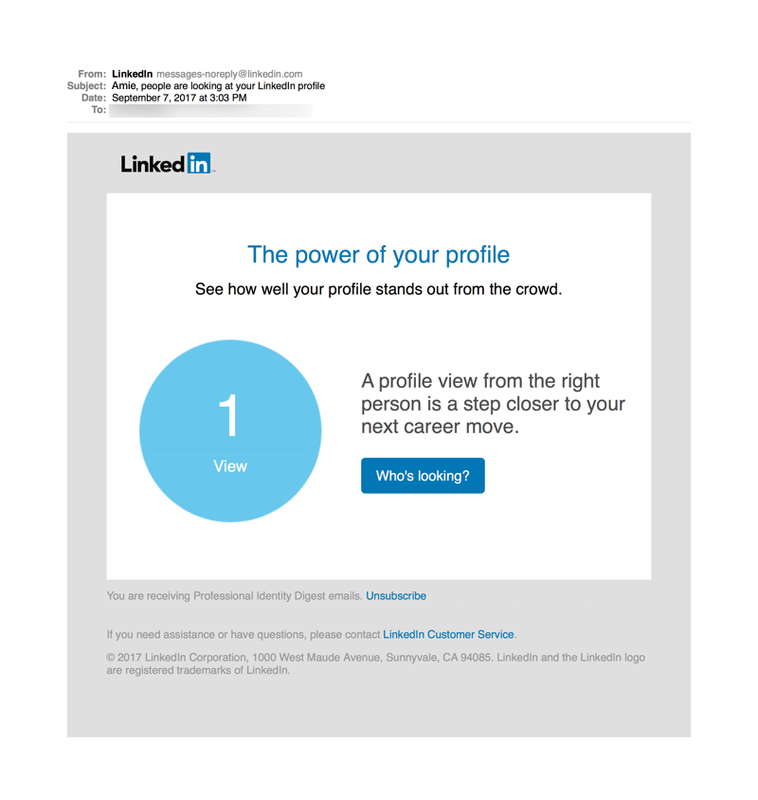 LinkedIn uses a similar sort of notification to drive engagement when a user’s profile was viewed. This example takes advantage of a user’s natural tendency to want to learn more as an opportunity for conversion on a premium service offering that shows more detail about who viewed her or his profile. These effective examples reveal several best practices that other apps and services can leverage to benefit from email notifications. If you haven’t begun thinking about email notifications as a core aspect of your app, now’s the time. Here are some questions a product team should ask to get started. What specific user actions in your app increase conversions (or decrease churn)? These areas are where notifications prompting action will give product teams the most leverage. What kinds of data increase the value your users perceive (or even bring them joy)? Notifications of this sort are a natural way to increase engagement and frequency of use, and drive conversion and upsell. What information reinforces users’ trust and confidence in your service? Account and security alerts are essential notifications that every service needs. Email is accessible on every piece of technology that we own. From phones to computers, voice recognition devices to smart watches, email is there. Email has permanency, with many of us keeping important receipts, confirmation messages and notifications that we may want to refer back to in our inboxes. As a result, email conveys a level of legitimacy that is crucial when reinforcing confidence and trust. The immediacy and relevance of notifications help these messages stand out from the rest of the inbox. At the same time, email’s performance, searchability, and permanence characteristics can make them more effective and reliable than a push notification, particularly when updating customers of important changes to things like account information. Email notifications offer high-value functionality: delivering information users need to take action or to reinforce the value and trust they see in a service. As these examples from Pinterest and LinkedIn have shown, they’re also a key tool for drive conversion, retention, and growth. 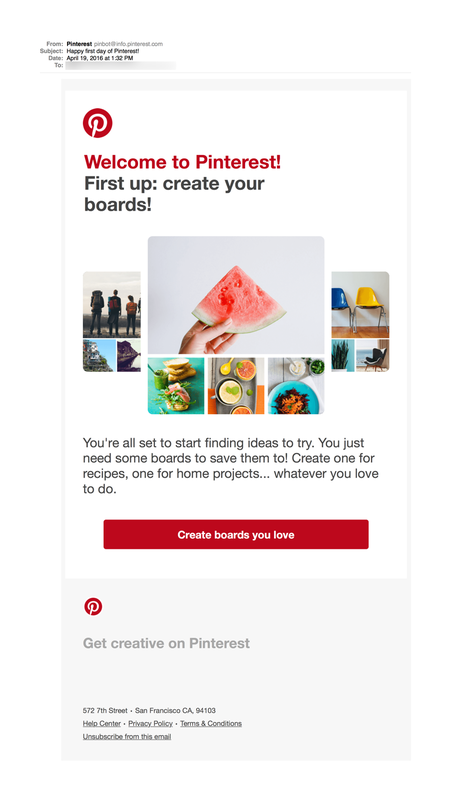 Here are five examples of effective onboarding email that will help you drive user engagement. Here’s why they work and how you should use them. Our SVP of Data Science, Daniel Chalef, explores whether send time optimization results in a meaningful lift in customer engagement.